With cooler weather approaching, it’s time to start thinking about how to keep your favorite furry family members warm and safe throughout the colder months. Although your dog may enjoy the cold and snow, it’s important to take steps to ensure that they’re safe and happy while they’re out and about. We’ve put together several easy and quick winter dog care tips that will help keep your dog warm and give you the peace of mind that comes with knowing that your dog will be able to enjoy the colder weather without experiencing any unwanted issues. If you’d like a good idea on how to keep your dog safe, read on! The pads on your dog’s paws can be a very sensitive and vulnerable area, especially when it’s cold and wet outside. You want to make sure that they don’t crack or get abrasions from your dog running around in the snow and ice, and you also want to avoid deicer because it can get between your dog’s toes and cause irritation. To prevent this, you can see if your dog will tolerate booties when they’re out and about, and you can purchase these booties online, or many veterinarian office and pet stores sell them. You can also rub a layer of petroleum jelly on your dog’s foot pads before they go out because it’ll act as a buffer between your dog’s feet and the snow. 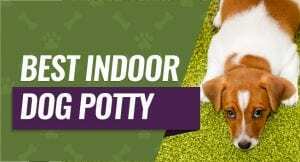 Remove it when they come inside though because it can cause them to slip on slick flooring. If your dog has a short coat, you may want to consider getting them a sweater or a winter dog jacket before they go out because the cold wind and slush can go straight through their short coat and onto their skin. This can cause them to get chilled, and it also makes them susceptible to frostbite. If your dog has a long coat, make sure that you don’t shave them during the winter months because this coat provides a layer of protection against the snow and cold wind. You just want to trim the ends if you notice matting and make sure that you brush any snowballs, ice, or deicer out of your dog’s coat because this can dry it out and cause irritation. Dog breeds with double coats like a Siberian Husky or an Alaskan Malamute will want to be outside all of the time in the snow because their thick coats protect them from the cold and keep them very comfortable. This means that they’ll burn off more energy and calories because they’re running around, and you may want to increase their calorie amount to keep up with the amount they’re burning off. If your dog dislikes the snow and you find them not wanting to go outside and play, you may have to reduce the number of calories you feed them each day. If you don’t, your dog can quickly start putting on weight that can be difficult to get back off again until it gets warmer out. If your dog is sensitive to the cold, try to take our outside to play or for brisk walks in the early afternoon or when the sun starts to shine. You want to avoid early morning outings or outings that are later in the evening because this is when the temperature starts to drop again. Additionally, taking your dog out for a romp when the sun is shining will help them get a dose of vitamin D as well as burning off some of their pent-up energy levels. Bring your dog’s favorite toy and play a game of fetch or let them run around and play in the snow for 20 to 30 minutes. During warmer and more humid weather, it’s fine to bathe your dog once a week or multiple times a week without running into too many issues. However, the cold weather brings dry air, and this can wreak havoc on your dog’s skin and coat if you keep up this routine. You run the risk of stripping your dog’s coat of essential oils and drying out their skin if you give them baths too often during the winter. Instead, you want to cut back and consider adding a moisturizing shampoo, oil, or rinse to your dog’s bath routine when you go bathe them because this can help lock the oils into their coat and skin. As your dog starts to get cold and their body temperature starts to fall, their bodies will automatically slow their circulation down to their extremities in an attempt to keep their core warm. If their feet, ears, and tails get too cold, they can suffer from frostbite. If you notice that your dog starts shivering, has discolored skin, the skin seems brittle or hard, or your dog experiences pain when you touch the area, these are all signs of frostbite. You want to get your dog inside immediately and start to warm up their skin to prevent further damage. If it’s too cold for you to be outside for an extended period of time, it’s most likely too cold for your dog to be out as well. Never leave your dog outside if they’re not equipped to handle the cold because they can get disoriented, lost, or freeze to death very quickly. If your dog is an outside dog and you’re experiencing subzero temperatures, consider giving them a warm place to sleep. This can be in a garage, under a porch, or in a dog house that you stuff with hay because it’ll help your dog retain heat and stay warm until the cold snap is over. Antifreeze is vital for keeping your car running when it gets cold, but the sweet smell and taste can also attract your dog it. This is bad because antifreeze is extremely toxic for dogs, and a dose as small as a teaspoon can cause kidney failure. Unfortunately, your dog needs aggressive treatment within 12 hours because antifreeze poisoning is almost 100-percent fatal. 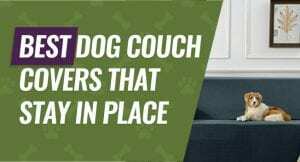 You want to ensure that you keep the antifreeze away from anywhere your dog can get into it, and you also want to clean up any spills thoroughly. Your dog may start to seek out warm places to sleep inside and outside, and you want to be sure that you block off any direct access to it. This is because your dog may actually burn themselves while they sleep without even realizing it. Make sure any stoves, fireplaces, vents, or radiators have some type of barrier that allows your pet to get close but not too close. You can purchase gates and portable fencing and put it up around these areas to stop your dog from accidentally burning themselves. If you lose power for a few days, will you be able to feed your dog, give them water, and keep them warm? If not, you should set up a blizzard kit for your dog just like you’d have for yourself because this ensures that your dog will do alright until you get power back. Your blizzard kit for your dog should contain things like extra blankets to keep them warm, clean drinking water, food, bowls, leashes, medications, and toys to keep them entertained. Ideally, you’ll have all of this sitting in one spot, so you don’t have to scramble around in the dark looking for it if you lose power. Although your dog loves playing in the snow, a snow pile next to a fence provides a quick and convenient escape route that your dog may have trouble resisting. Make sure that you clear any snow piles away from your dog’s fenced-in area, and keep them away from the overhang on your roof because this can fall and injure your dog. Also, watch any concrete or hard areas for ice and keep them clear as well because your dog can easily slip and fall when they’re running around. If you use deicer on these areas, make sure to clean it up before your dog steps on it because it can cause irritation, or you may consider getting a dog-friendly deicer. Just like you should never leave your dog in the car during the hot summer months, you don’t want to leave them in the car during the colder winter months. A car can act like a refrigerator, and your dog can actually freeze faster in a car than they would if they were outside. Additionally, if you leave your car running with your dog in it in order to keep them warm, you could potentially expose them to carbon monoxide fumes. 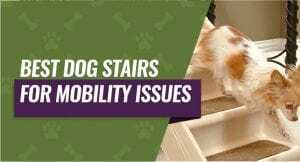 These can also be hazardous to your dog’s health, and you can avoid it by either staying in the car with them or leaving them at home while you run errands. Winter can be a great time for your dog to get outside and play, but you have to be just as vigilant during the winter months as you are during the summer months. The winter brings a whole host of new problems and potential danger for your dog, and our winter dog care tips can help them stay happy and healthy all year round.